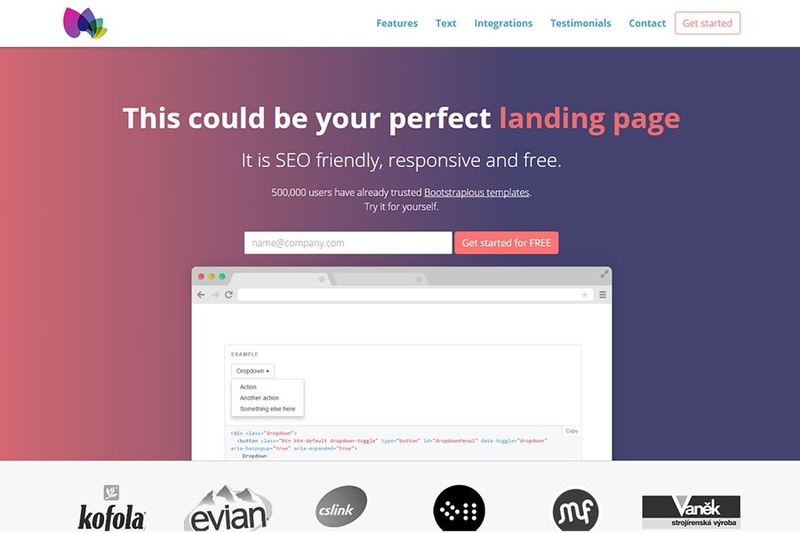 Startup is a great template for your landing page. It is fully responsive and looks great on every mobile device or a computer screen. You can use it for your startup, SAAS service or your new app. Startup template is based on Bootstrap 3.3.6. Template is easy to modify, all you need is a basic HTML / CSS knowledge. It comes with 6 colour variants out of the box - you can choose between pink, blue, red, violet, green and sea blue variants.